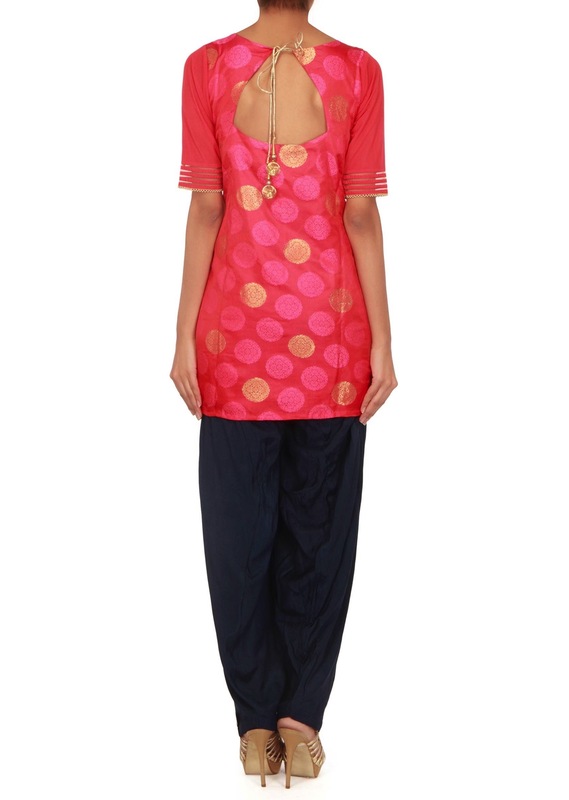 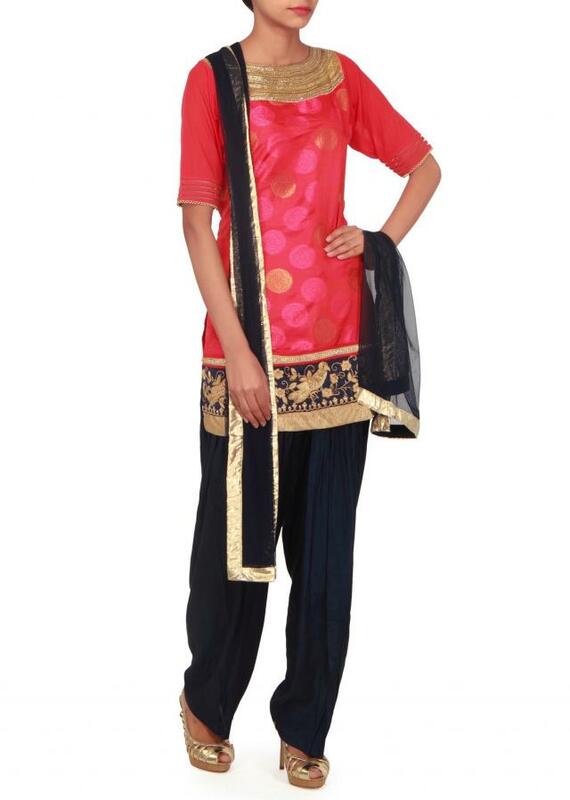 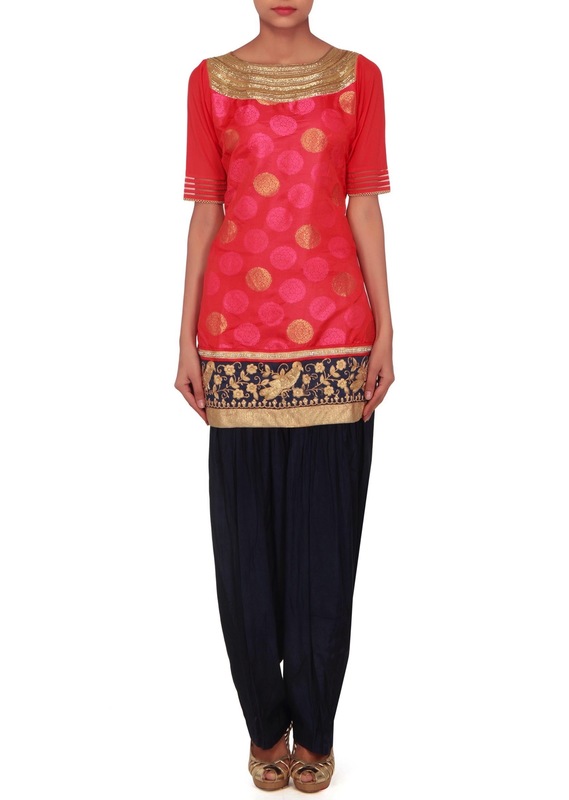 Pink straight suit featuring in brocade silk. 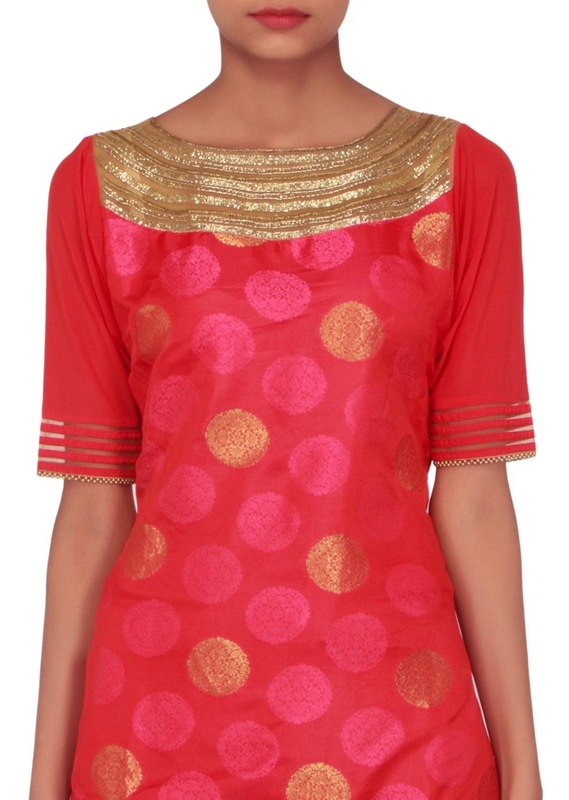 Neckline is embellished n kardana and hemline in thread embroidery. 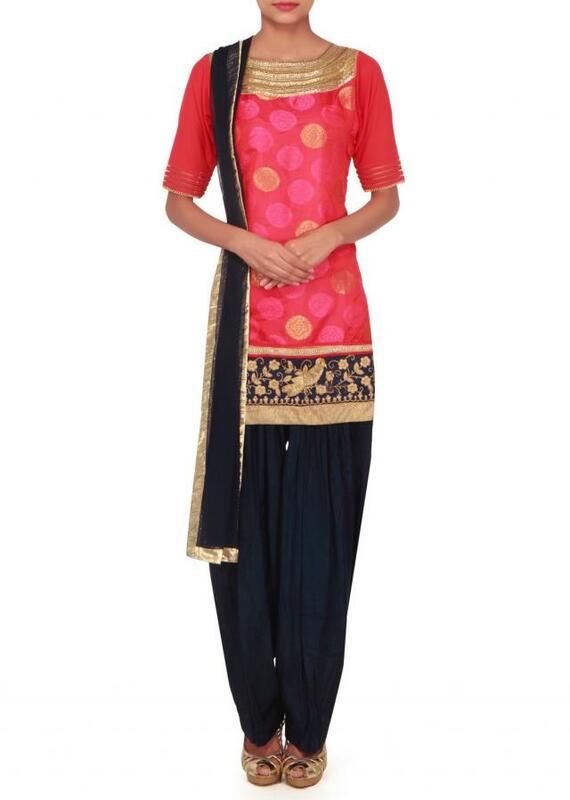 Matched with navy blue santoon salwar and net dupatta with lurex border.